So what? Well for anyone who is visible in social media it will not come as a surprise when you say things, occasionally people will notice. Swearing, trolling, bullying behaviour online will be seen and often summarily dealt with by the community. Recently, someone approached me and asked “Does your office know you are trying to ban grouse shooting?” I was somewhat taken aback and didn’t know what to say. The person who said it was not of the same opinion of me, and saying it to me I think was a subtle attempt at intimidation. And it kind of worked. I reflected on what I tweet, blog and comment about in the public space. For a while I pondered starting a separate account for saying things, and only use my established mediums for work. But after looking back at my tweets and comments I realised that even though they were all on a personal level, they were always polite, reasoned and in my opinion professional. I am looking forward to an upcoming article by Lanclos and White in Hybrid Pedagogy, that will cover authenticity and credibility. And they will certainly be touching on that when I run the digital leadership course. Thinking about my own practice when online there are times when some aspects of what I am saying must be completely alien to some of the people who follow me. Some of my colleagues have two personas or more, one personal, one “professional” or “other professional” where the word professional has become shorthand for “what I get paid for”. But we as individuals, do not only do one thing or have a sole purpose. We have multiple dimensions that are influenced by and influences the many different aspects of our lives. An authentic human being will have multiple views, and vices. So when online it is OK have opinions, demonstrating that you may have other interests, skills and knowledge that do not relate to your “day job”, and this should do no harm to your online persona, it just shows that you are human, perhaps as opposed to a social media account that represents an organisation. And this is important because as humans we, usually, prefer to interact with other humans. 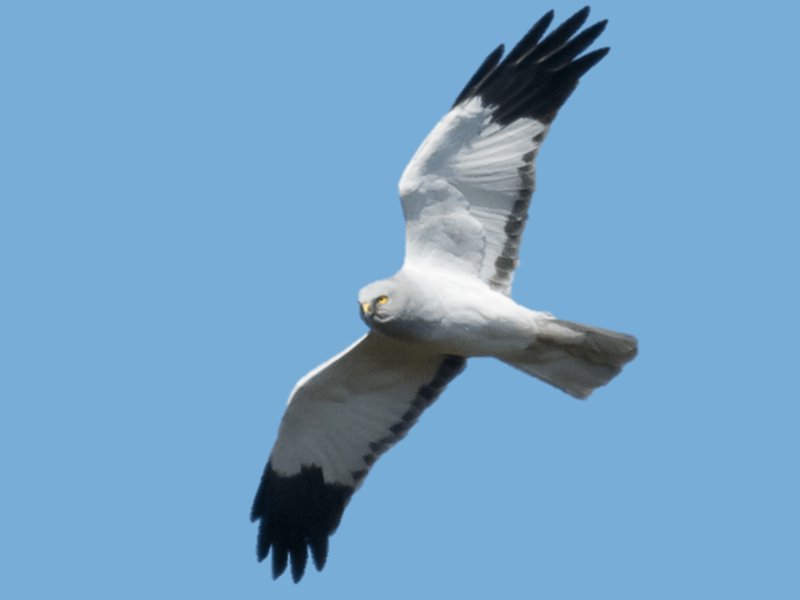 So what of the Hen Harrier in the title? If you work in education and follow me on Twitter then you probably noticed a huge surge in me tweeting about bird related stuff last weekend because I am an avid birdwatcher and amateur naturalist and I was at the British Bird Watching Fair promoting an organisation I set up with a couple of friends to help stop wildlife crime, and the Hen Harrier is probably the most persecuted bird of prey in the UK, having been illegally poisoned, trapped and shot to the edge of extinction. So as well as tweeting about education, technology, digital capability and digital leadership I also tweet about narrow boats, Wolverhampton Wanderers, other birds, and wildlife in general. Who I am in my personal life informs who am in my professional life, and that will be true for most people. This is often expressed in my work life by hearing colleagues tell me about what their kids are doing at school with the curriculum or technology. 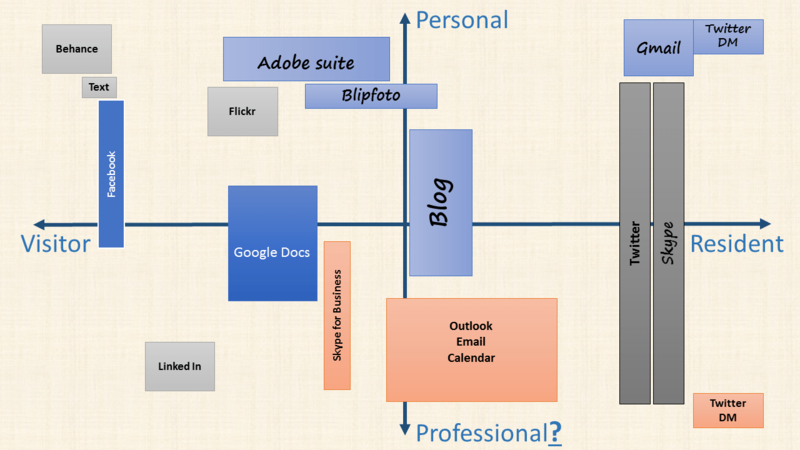 Personal informs “professional” and vice versa. Now, with social media, we get to choose how we express and how much we express about these facets of our lives. For me, I have chosen not to keep separate accounts, after all I am the same person whether I am running a workshop on digital leadership or a hiding under a bush photographing a rare bird or trying to identify a warbler. identity digital, identity, individual as institution, Leadership, post-digital, presence, Social Media, technology. permalink. A really interesting read, and echoes my own recent thought process. As I taught in secondary and further education sectors, I had a twitter account dedicated to teaching/education/research and then a personal, locked account for personal stuff, such as complaining about TV or football. I worked hard over a number of years to develop both these personas, but since moving into HE, I decided that the divisions blurred and I found myself wanting to project a more complete picture of who I am, and that meant using just one twitter account. That said, I do find myself being more considered when posting online, but that is probably a good thing. Whilst I am tempted to agree with you on this as fundamentally you are talking about freedom of speech, I’m going to try and go against my instincts and put forward some concerns about what you have written. Part of my caution about embracing your stance fully stems from a concern about what is appropriate and the fact that one person’s ‘mild’ views are another’s extreme. So an anecdote I heard was that an academic member of staff at a UK university was tweeting comments in support of the Assad regime. I looked at his account (which was public) and it did seem clear where he worked and that his views were largely in favour of the regime at a time when the majority view regards this as wrong. Yet only a few years earlier in 2002, it was acceptable for Tony Blair to recommend Assad receive a knighthood. Who judges whether this university employee has stepped over the line and just as important – when? Reputation is important and if we live in a networked society where comments spread like wild fire or there are ‘extreme’ views aired, I do think that an institution should have a right to say to employees ‘you can’t write that and associate it with our name or brand’. I also have concerns about the reliability of the ‘community’. If as Nietzsche says morality is the herd-instinct in the individual, the online herd often don’t react at all, or if they do, they stampede and all subtlety and nuance of a post or tweet can be lost in the rush to either condemn or support. yep, I understand your caution and certainly mindfulness is required in any online forum and political/controversial hot topics are not something I routinely tweet about. But putting forward a well reasoned argument and doing so in a polite and honest way is not something we should shy away from. I think when we start to make jokes about issues, or enter into support for or against extreme views, and doing so in angry or reactive ways it is when we start to have think is this the right thing to say. However, my main point is that even if you have separate accounts for work and “not work” it is still the same person. This is very interesting. I came across the VR mapping last month at an event (it was introduced by one of your JISC colleagues in Wales) and was inspired to draw up my own (see https://libalyson.wordpress.com/2015/07/27/developing-digital-literacies/). I have two different ‘professional’ jobs, as well as a personal life, but I have quite separate profiles around these areas ie two work blogs, one work FB and one personal FB. But, I think this reflects on me, as a person, rather than the merits or otherwise of converging or being separate. Like you I remain ‘professional’ in all that I do, and although I am the same person whether it’s my f/t work, or my p/t work, or in my personal life, I currently like to keep them separate. The danger is that I don’t look like a very rounded/normal (!) person in the ‘work’ profiles, but I know I simply could not use social media for one of my jobs if it strayed away from work in any way. I don’t think there is a right or wrong, the way I am present online feels right for me, but it won’t for others. I would like people to be more aware of their presence and how it is both perceived and how it can be of benefit when you “cross the streams”. An interesting blog Lawrie. When I reflected on this I realised I have some degree of separation between different online personas, but that these were highly “enforced”. The biggest separation is in email where I have “work”, “personal (and personal “professional”)” and “general purpose” spread across three accounts. LinkdIn is entirely professional but both work and personal, Twitter covers both work and personal/professional, and Facebook covers everything. On forums, I have a strict “non work” persona/identity which is separate from my “real world”/”professional” identity although much of what I do on forums I would regard as professional as well as personal.